Pure vintage Pacino, Asa’s Franco-Nigerian reggae blend, and Mojito Mondays! 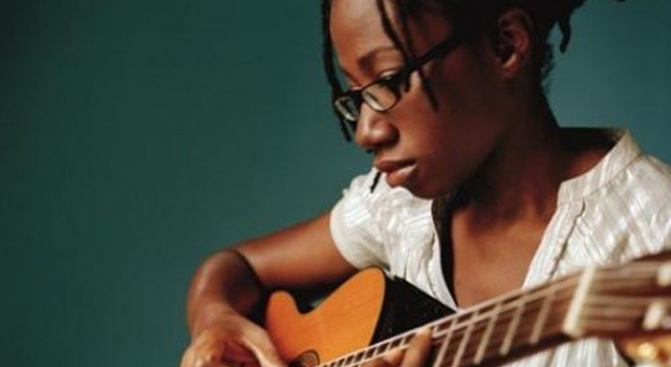 Asa brings her jazzy, reggae-tinged mix to (le) Poisson Rouge. MUDDLED: We can’t imagine a better cure for a case of the Mondays than a bottomless glass of mojitos. As luck would have it, the bar at Crowne Plaza Times Square (at Broadway and 49th Street) is pouring complimentary ’jitos every Monday from 6 to 8pm, all summer long. DOGGED: Catch what’ll likely be another gorgeous sunset in Bryant Park, and then settle in for an outdoor screening of Sidney Lumet’s genius ‘Dog Day Afternoon,’ about a heist that goes terribly, awfully wrong. And yet – largely thanks to Al Pacino – manages to brim with wit. Sunset (park opens at 5PM), Bryant Park. ECLECTIC: Asa (pronounced Asha) is not quite reggae, not quite folk, and hardly hip-hop – if anything, we’d say the Nigerian singer-songwriter’s music nods a bit to early Tracy Chapman and Lauryn Hill. Her current self-titled release has scooped up awards in her native France; check her out at (le) Poisson Rouge at 7PM.